I have an idea for a graphic novel. It is a huge idea that I want to really do justice to. Then, in turn, I hope to adapt it from a graphic novel into a play. Because it is such a big idea and I have not written and drawn a graphic novel before, I have lately been brain-storming ideas for a sort of "practice" graphic novel. 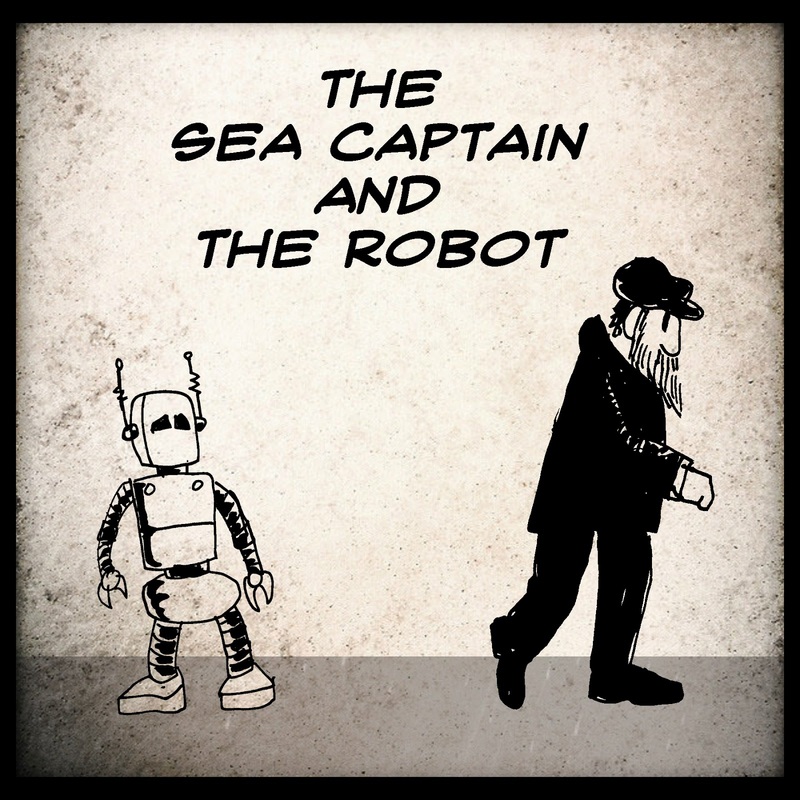 I guess I should say, mini-graphic novel. Something that can be told over, say, 24 pages and that I can make myself, zine-style, to sell at the STAPLE! Independent Media Expo in Austin in March. I have been producing a bunch of doodles lately and I think I finally have something interesting enough to develop into a story... 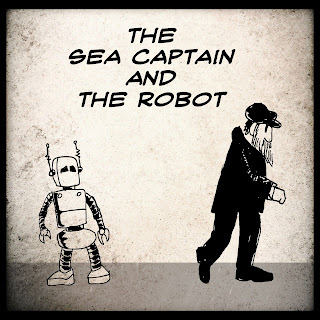 THE SEA CAPTAIN AND THE ROBOT. I'll post updates and pages as I finish right here on this site.